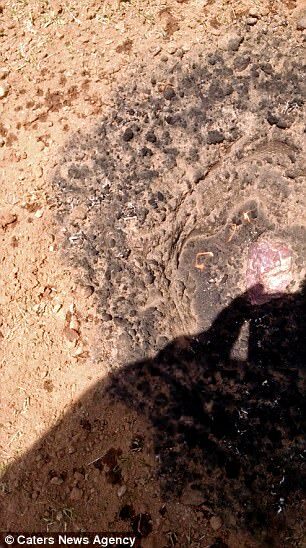 A homeowner from Georgia in the US was baffled to find a 15-inch blazing crater in his back yard with a glowing meteor after he had heard what he described as being a loud bang. 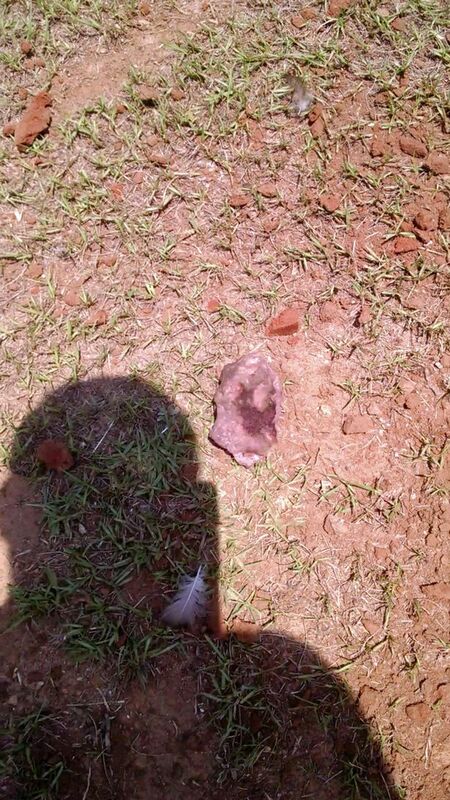 The meteor is said to have fallen out of the sky and landed in the yard of the man in Georgia on 21 July 2017. Jay Sullivent went running outside after he heard a loud bang assuming that he would find a car crash. However, when he could not find any wrecked vehicles he then went walking around his garden, and he came across a patch of grass that was burned in a circle and which he could see smoke rising from. On approaching the patch of burnt grass, he found that the center of the crater, which was said to be around 15 inches in diameter, was still alight and there was a pinkish color rock in the middle of it, and it was glowing red. Sullivent could only assume that it was a meteor and it had come crashing down out of the sky landing in his back yard. However, there are some skeptics that say that it is not a meteor that landed in the yard of the homeowner. Some have even gone as far as suggesting that the video captured has been faked by the homeowner. The American Meteor Society was quick to debunk the whole story saying that it was 100 percent fake. They said that meteorites are not even hot when they reach down and hit the ground. This only happens in Hollywood, not in real life. They went on to say that when a meteorite hits the ground they are cold so they cannot start a fire, cause the grass to burn and they are not hot to the touch. They also pointed out that a meteor that size would not leave any impact crater on the ground. The director of operations at the American Meteor Society, Mike Hanley, said that meteorites are not the start of forest fires. He went on to say that a meteor typically explodes so far up in the atmosphere that by the time it has hit the ground it is cold. Sullivent however, insists that a meteor did fall from the sky and it did land in his back yard causing a loud bang and singed the grass around it. So was it real or not? The ‘Door to Hell’ Found in this Desert Has Been Burning for More than Four Decades!